The St. Catharine College baseball team has been used to scoring runs in bunches over the last few years, but the Bat Pats have had a more difficult time this season denting home plate. That was evident last week as St. Catharine, now 16-16-1 overall, scored 24 runs over six games while posting a 2-4 slate. The six-game home stand started last Wednesday with a split against Oakland City. The Mighty Oaks (10-2)rebounded from a 5-2 loss in the opener to gain a split with a 6-1 win in the nightcap. The St. Catharine College softball team won only two of seven games last week, but those two wins were historical for head coach Holly Smith. Wednesday the Patriots split a doubleheader at home against Union College, and Thursday they gained a split at Mid-South Conference rival Campbellsville. It was Smith’s first wins over those perennial powers in her seven-year coaching career at St. Catharine. 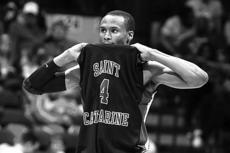 The St. Catharine College Patriots were well aware that if the opening round of the NAIA National Tournament became a free-throw contest, it could not result in a favorable outcome. Wednesday’s game was, indeed, decided at the charity stripe – and the outcome was most disappointing for J.T. Burton’s team. The Lindenwood Lions (29-5) came into the game in Kansas City as the nation’s top-ranked free-throw shooters at 74 percent. When the confetti fell on Rockcastle County girls’ basketball assistant coach Ken Mattingly’s shoulders on March 12, his parents were likely very proud. After several seasons on the sidelines as an assistant at Rockcastle County, Mattingly was able to experience a state championship for the first time when his team beat DuPont Manual in the finals at E.A. Diddle Arena in Bowling Green. The coach, whose parents are Buck and Emily Mattingly of Springfield, said the experience was more than he could have ever dreamed of. That can only mean one thing: time to take a sick day. It means spring is here, along with spring sports. After checking out the 18-0 thumping administered by the Washington County High School baseball team in a nine-inning scrimmage, I think we may have a nice spring ahead of us. If the Commanders play like that all season, they should have no problem reaching their goal of 20 or more wins. Growth is evident in Washington County High School’s track program this season. Returning to the team are five members that competed at state last season. “The girls’ 4 x 200 meter relay team of Shay Yocum, Gabby Cheser, Alex Yantis and Mouriah Hourigan are all returning, as well as Kyle Curtsinger who advanced in the boys’ discus,” Bodenhamer said. Because of the trip to state, around 30 members are now on the team, a number that head coach Paul Bodenhamer said is the highest it has been in five years. The Washington County High School Commanderettes get ready for battle this week as they start the season. 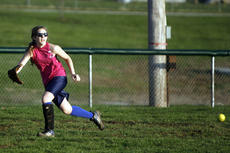 Play began on Tuesday against John Hardin at Idle Hour Park. Results from that game will be in next week’s edition. Washington County will play host again on Thursday, this time to Burgin. The first pitch is set for 5:30 p.m.
Washington County continues play on Friday against Nelson County for the first road game of the season. The first pitch is set for 5:30 p.m. 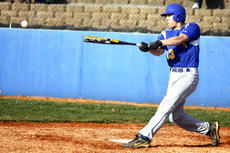 The Washington County High School baseball team opened on Monday against border rival Marion County at home. Washington County won that game 9-2. The Commanders took on Taylor County on Tuesday at Taylor County. Those results will also be in next week’s edition. On Thursday, the Commanders travel to Fern Creek to battle the Tigers. The first pitch is set for 5:30 p.m.
On Saturday the Commanders travel across the county line to face Danville at Danville. 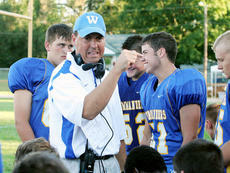 The first pitch is set for 5:30 p.m.
Washington County High School football head coach Mark Perry is stepping down after seven seasons. “I’m officially going to accept another position (Tuesday afternoon),” Perry said. Washington County High School principal Paul Terrell confirmed that Perry planned to take a position at Central Hardin High School. John W McCauley, executive director of USDA’s Farm Service Agency in Kentucky, announced Agriculture Secretary Tom Vilsack announced general sign-up for the Conservation Reserve Program (CRP) began on March 14, and will continue through April 15. During the sign-up period, farmers and ranchers may offer eligible land for CRP’s competitive general sign-up at their county Farm Service Agency (FSA) office.